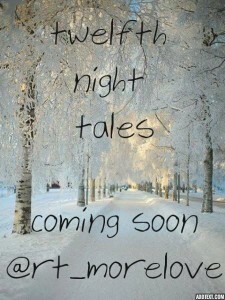 The Twelfth Night Tales are now on DreamWidth! We are now ready for this year's Twelfth Night Tales - a prompt based, relaxed holiday fest to celebrate Remus and Tonks and the world of Harry Potter. As some of you have discovered, the community is now also on DreamWidth, and this year's fest will be hosted there. To join, simply head over here. You can subscribe to the community, and, if you want to get posting access when posting opens, also join as a member. The Rules and Guidelines post is up, where you can read about the community, about how this event works and how to join. The Prompt List is also posted - we hope you'll find some R/T inspiration here! This is also where you show your interest in participating and sign up for posting access by simply replying "Wotcher!" We're looking forward to seeing you, whether you've been here from the start or this is your first time creating anything for this pairing. Of course, if you prefer to read and watch (and comment :)), you're also welcome! We’re happy to announce that the Remus/Tonks Twelfth Night Tales fest is returning very soon! 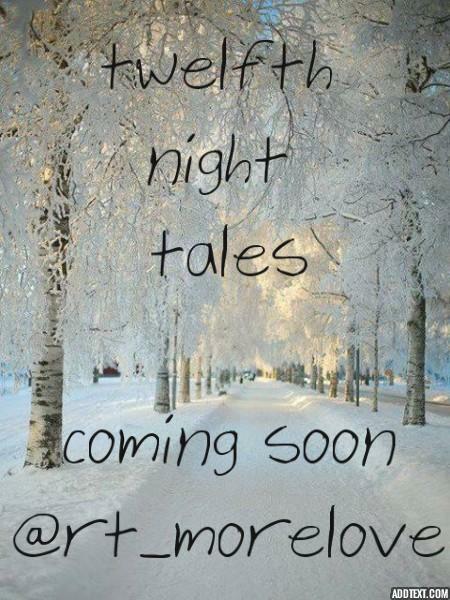 For those of you who are familiar with this event, this year’s event will be very similar to previous years - with one notable exception: The community is now also on DreamWidth, and this year we’ll be hosting the Twelfth Night Tales on this platform. All the information you need to follow the event will be posted on DreamWidth and LiveJournal alike. We’re looking forward to seeing old and new friends, and celebrate our favourite werewolf and Auror together. Links, information, guidelines and rules will be posted very soon! Hopefully we'll be back with future events, watch this space for info! Posting has now closed, and the Twelfth Night Tales event 2016/2017 is over. Even though posting has finished, comments will remain open! I for one am so looking forward to enjoy all the new fic and art this event has produced. Masterlist will be up shortly! Prompt(s): #26: First person POV, present tense. #48: Almost. Summary: Remus can almost convince himself this is for the best. While on his undercover mission to the werewolves, Remus disappears. Tonks is determined to find him, no matter what the cost. Notes: The second part of the story (simply because it wouldn't all fit in one post) – sections IV and V, out of an eventual seven total sections. A fusion with “The Snow Queen” by Hans Christian Andersen. You don’t need to know The Snow Queen to read this – though if you do know the original, I hope you’ll enjoy the nods and parallels throughout! With apologies, this is a work-in-progress... I really appreciate rt_morelove for giving me the impetus to write a fairly involved, multi-chapter AU/fusion fic I would never have ended up writing otherwise, but I didn't quite get it all done by the deadline, simply because there's so much to cover from the original story! The Snow Queen has seven sections; so far I've written five of them. So here's a partial draft, and soon I'll finish the rest and post it at my own LJ and AO3, if anyone wants to come catch up with the rest of the story after rt_morelove has ended. Prompt(s): 13. Picture of a girl with multi-coloured hair. Summary: Tonks brings colour to Remus’ grey life. Notes: Just a short piece to stretch my writing muscles! It’s been so long so I hope it’s ok! So pleased I managed to do something for this event! Thanks to the mods for this event as always and especially to gilpin25 for giving me the heads up! Prompt(s): #38, "It was foolish, it was wrong, to take so active a part in bringing any two people together. "; #29, Charlie Weasley pays a visit; and #18, "Being deeply loved by someone gives you strength, while loving someone deeply gives you courage."